Quantock Active Living is a social group for the over-55s. Come for interesting talks, activities and craft sessions, fun and laughs and a chance to make new friends. 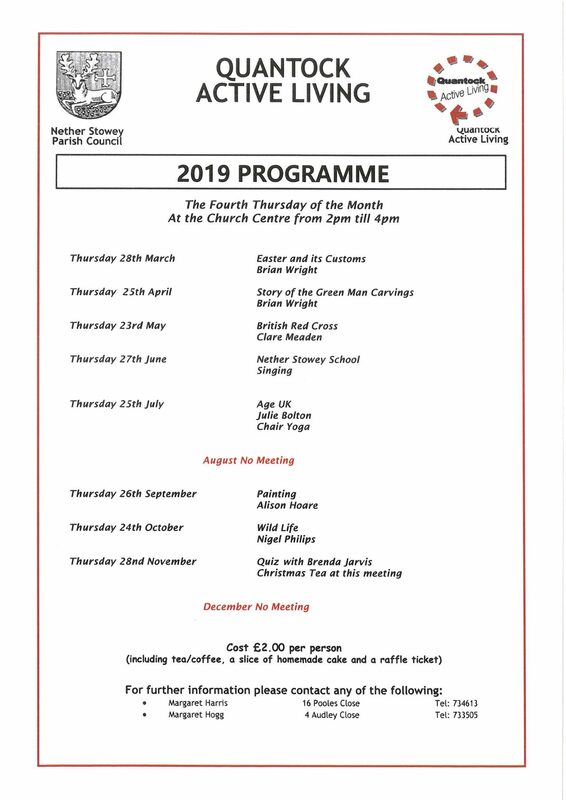 The group meets on the fourth Thursday of the month at 2pm at the Church Centre. Contact Margaret Harris (tel 734613) or Margaret Hogg (tel 733505). The 2018 programme is available below, or can be downloaded here.